Our mission is to grow the sport of Jump Rope. My name is Chris Holmes. I’m a former competitive jumper and currently a jump rope coach. I’ve been involved in the sport of Jump Rope since 1985. I started as a skinny little uncoordinated kid in elementary school with almost no athletic ability. I was NOT a natural athlete, which many people who know me will confirm. Fortunately, I had an amazing coach and met wonderful people along the way that helped me grow both as a jumper and as a person. I went on to win several national titles and became a world champion. I got opportunities to travel around the world to perform, compete, and teach. Most importantly I learned valuable lessons that carried over into my personal and professional life. Since then I’ve been blessed with starting my own family, having a great career, and making some very profitable investments. I didn’t get where I am alone. I credit my time in the sport of Jump Rope with setting me up for life-long success. My coach and the people in the sport taught me lasting life lessons. I’ve had great mentors at each stage along the way. Now I want to pass along what I’ve learned to others. I believe anyone can be successful with the right mindset and the right training. I was fortunate to have mentors that helped me. Now it’s my responsibility to help YOU. One way I want to help is by giving back to the sport that helped raise me into the person I am today. It helped me grow, now I want to help it grow. I want to share with the world what those of us in the sport already know… Jump Rope is an amazing sport. It’s fun. It’s creative. It’s inexpensive. It’s portable. It’s great exercise. It’s easy to learn, but offers a lifetime of challenge for people at every skill level. The Jump Rope community is loving and helpful and full of positive people. We believe “sharing is caring”. We believe we can do anything and “can’t” is a four-letter-word that shouldn’t be spoken. We believe in the power of a positive attitude. We come from many different backgrounds and cultures but work together to create and do amazing things. Honestly, I think the world needs more of that right now. There are 7.4 BILLION people on this planet. Our goal should be to reach as many of them as possible. All of them can benefit in some way from what we have to offer. Some can learn to be healthier through exercise and proper nutrition. Some can learn the value of teamwork. Some can learn discipline. Some can learn to respect others and embrace diversity. Some will compete. Some will just play. Some will simply have their day brightened by being entertained. We need our sport to grow in order to positively impact more people. Right now I believe one of our biggest hurdles is that many people simply don’t know we exist. Our sport needs exposure. We need attention. That’s why I created “Jump Rope Videos”. Jump Rope is such a visually impressive sport. It seems tailor made for a time when viral videos can quickly rack up millions of views. 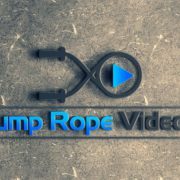 In 2007 I started collecting and categorizing the best jump rope videos I could find on Youtube and sharing them on jumpropevideos.com. That was before the iphone existed and before Twitter, Facebook, and Instagram became as ubiquitous as they are today. We live in an amazing time where technology and social media allow us to cheaply and efficiently spread our message and share our passion. We can leverage that to our advantage to raise awareness and grow the sport. Follow us on Twitter @jumpropevideos. Whew! After another few hours of hard work, I’ve recategorized all of the videos that I moved over last night. I decided to change some of them slightly from the way they were on the old site. If you find anything that looks like it’s out of place or have any suggestions for new categories, please let me know. Hopefully it will be easier to find what you are looking for now. Also, I’ve found that the new search feature on this site is particularly useful. If you have any suggestions for ways to make this site more useful to you, I’d love to hear them.